Plaque is a soft yellow-grayish substance that adheres to the tooth surfaces including removable and fixed restorations. It is an organised bio-film that is primarily composed of bacteria in a matrix of glycoproteins and extracellular polysaccharides. This matrix makes it impossible to remove the plaque by rinsing or using sprays. Materia alba is similar to plaque but it lacks the organized structure of plaque and hence easily displaced with rinses and sprays. All individuals develop plaque and materia alba. Through regular brushing and flossing, these organized colonies of bacteria are disturbed and eliminated from the oral cavity. In general, the more effective one’s brushing, flossing, and other oral homecare practices, the less plaque will accumulate on the teeth. However, if, after 24 hours in the oral environment, bio-film remains undisturbed by brushing or flossing, it begins to absorb the mineral content of saliva. Through this absorption of calcium and phosphorus from the saliva, oral bio-film transforms from the soft, easily removable plaque into a hard substance known as calculus. Commonly known as ‘tartar’, calculus provides a base for new layers of plaque bio-film to settle on and builds up over time. Calculus is harder than bone and cannot be removed by brushing or flossing. Plaque accumulation tends to be thickest on the part of the tooth directly adjacent to the gums, known as the cervix of the tooth. Due to the proximity of this area to the gum tissue, the bacterial plaque begin to irritate and infect the gums. This infection of the gum causes inflammation known as gingivitis, which literally means inflammation of the gingiva, or gums. Gingivitis is characterized by swelling, redness and bleeding gums. It is the first step in the decline of periodontal health, and the only step which can be fully reversed to restore one’s oral health. As the gingival tissue swells, it no longer provides an effective seal between the tooth and the outside environment. Vertical space is created between the tooth and the gum, allowing new bacterial plaque bio-film to begin to migrate into the sulcus, or space between the gum and the tooth. In healthy individuals, the sulcus is no more than 3mm deep when measured with a periodontal probe. This 3mm space is known as biologic width. As the gingivitis stage continues, the capillaries within the sulcular area begin to dilate, resulting in more bleeding when brushing, flossing, or at dental appointments. This is the body’s attempt to clear the infection from the tissues. Thus, bleeding is generally accepted as a sign of active oral infection. The swelling of the tissue may also result in deeper reading on periodontal probing, up to 4mm. At a depth of 4mm or greater, the vertical space between the tooth and surrounding gum becomes known as a periodontal pocket. Once bacterial plaque has infiltrated the pocket, the transformation from bio-film into calculus continues. This results in an ulceration in the lining of the tissue, which begins to break down the attachment of the gum to the tooth. Gingival attachment begins to loosen further as the bacterial plaque continues to invade the space created by the swelling it causes. This plaque eventually transforms into calculus, and the process continues, resulting in deposits under the gum, and an increase in pocket depth. As the depth of the vertical space between the tooth and the gum reaches 5mm, a change occurs. The bacterial morphology, or make up, of the bio-film changes from the gram positive aerobic bacteria found in bio-film located supragingivally, or above the gumline. Replacing these gram positive bacteria of the general oral flora are obligate anaerobic gram negative bacterium. These bacteria are far more destructive in nature than their aerobic cousins. The cell walls of gram negative bacteria contain endotoxins, which allow these organisms to destroy gingival tissue and bone much more quickly. Periodontitis officially begins when these bacteria begin to act, resulting in bone loss. This bone loss marks the transition of gingivitis to true periodontal disease. In other words, the term periodontal disease may be synonymous with bone loss. The first evidence of periodontal disease damage becomes apparent in radiographs as the crestal bone of the jaw begins to become blunted, slanted, or scooped out in appearance. This destruction occurs as a result of the effect of bacterial endotoxins on bone tissue. Because the bone is alive, it contains cells in it that build bone, known as osteoblasts, and cells that break down bone, called osteroclasts. Usually these work at the same speed and keep each other in balance. In periodontitis, however, the chemical mediators, or by-products, of chronic inflammation stimulate the osteoclasts, causing them to work more rapidly than the cells that build bone. The net result is that bone is lost, and the loss of bone and attachment tissues is called periodontal disease. These processes will persist, causing greater damage, until the infectious bacterial agents (plaque) and local irritating factors (calculus) are removed. In order to effectively remove these at this stage in the disease process, brushing and flossing are no longer sufficient. This is due to several factors, the most important to note being the depth of the periodontal pocket. Brushing and flossing are only effective at removing the soft materia alba and bio-film in supragingival areas, and in pockets up to 3mm deep. Even the best brushing and flossing is ineffective at cleaning pockets of greater depths, and are never effective in removing calculus. Therefore, in order to remove the causative factors that lead to periodontal disease, pocket depth scaling and root planing procedures are the generally recommended. Once the bacteria and calculus are removed from the periodontal pocket, the tissue can begin to heal. The inflammation dissipates as the infection declines, allowing the swelling to decrease which results in the gums once again forming an effective seal between the root of the tooth and the outside environment. 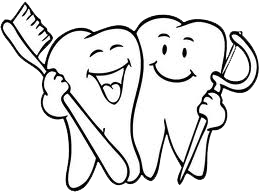 However, the damage caused by periodontal disease never heals completely. Any bone loss that occurs due to the disease process is irreversible. The gingival tissue of the gums also tends to suffer permanent effects once the disease reaches a certain point. Because gum tissue requires bone to support it, if bone loss has been extensive, a patient have permanent recession of the gums, and therefore exposure of the roots of the teeth in involved areas. If the bone loss is extensive enough, the teeth may begin to become mobile, or loose, and without intervention to arrest the disease process, will be lost.